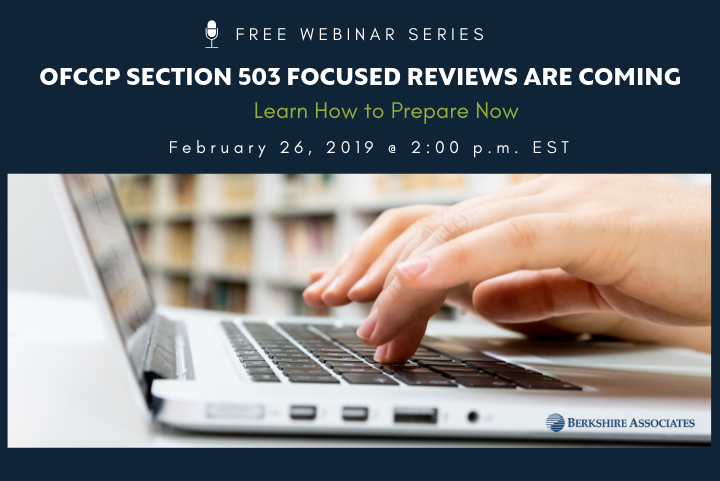 Plan to attend the next webinars in the Section 503 compliance webinar series. 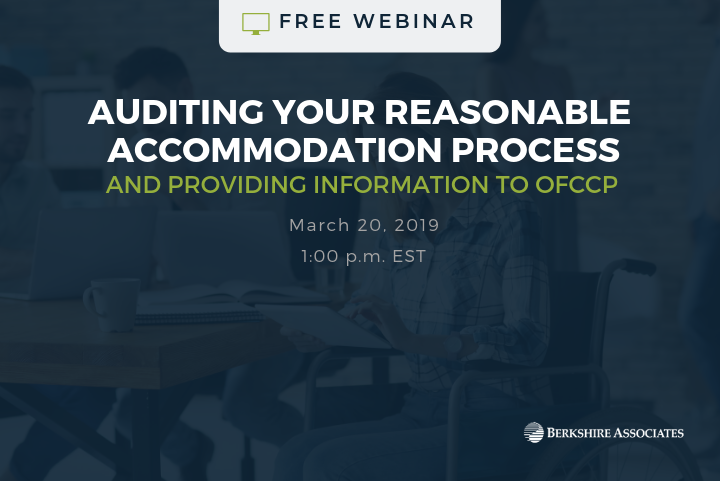 This week's highlighted webinar is Auditing Your Reasonable Accommodation Process & Providing Information to OFCCP. On March 20 from 1-1:30 p.m. EST, Cheryl Boyer, Vice President for Client Services at Berkshire will discuss the reasonable accommodations required for an otherwise qualified Individual with a Disability. With a deep background in managing human resources departments, Cheryl will discuss practical procedures for responding to requests for reasonable accommodations and the concept of “undue hardships.” The webinar also will explain how contractors can respond to OFCCP’s request for a log of reasonable accommodation requests during a compliance review. If you were not able to tune in for the first three webinars in the Section 503 compliance webinar series, you definitely do not want to miss this next one titled Creating Required Auditing & Reporting Process. 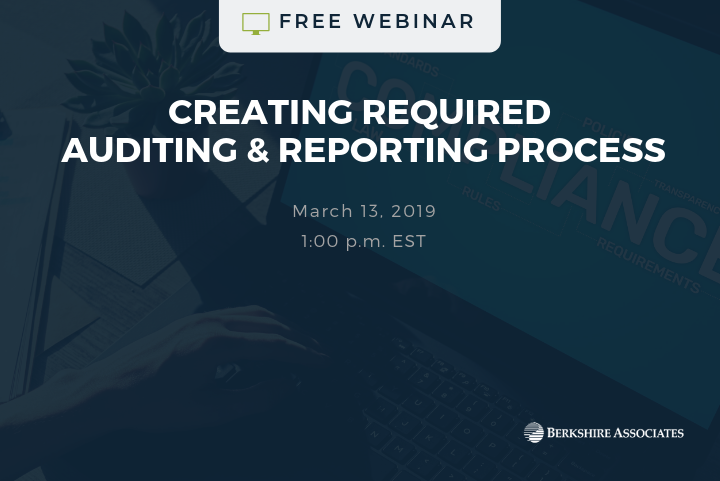 On March 13, 2019, at 1:00 p.m. EST, Sonia Chapin, Managing Consultant and Audit Advisor at Berkshire Associates, will discuss the requirement contractors have to monitor and report on their Affirmative Action efforts for Individuals with a Disability, and the responsibility to correct for deficiencies in their program should they exist. Contractors will learn steps they can take to satisfy the requirement, including best practices for documenting the actions taken to comply. Sonia will also discuss how to respond to OFCCP’s request for records during a compliance review. 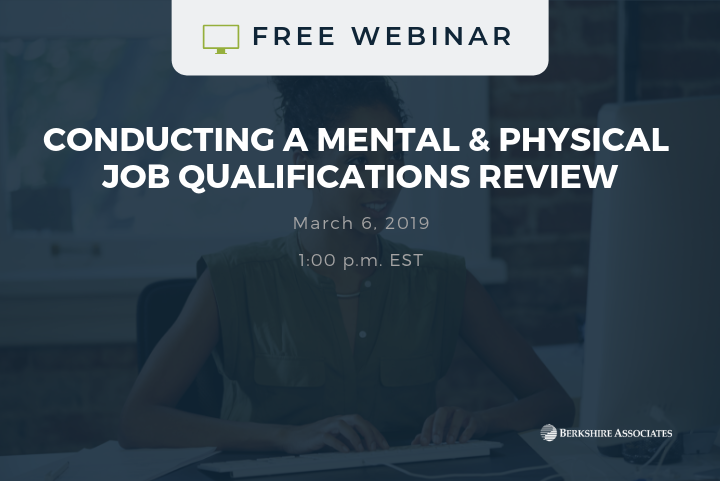 Join us on March 6 from 1-1:30 p.m. EST when Rachel Rubino, Senior Consultant and Audit Advisor at Berkshire Associates, will discuss contractors’ requirement to review physical and mental job qualification standards to ensure that they do not screen out qualified Individuals with Disabilities. Contractors will learn steps they can take to show that the qualifications are job-related and consistent with business necessity. Rachel will also review best practices for documentation and responding to OFCCP questions related to this requirement. If you’re ready to learn the best approach to collecting self-ID information from your employees, you do not want to miss this webinar. 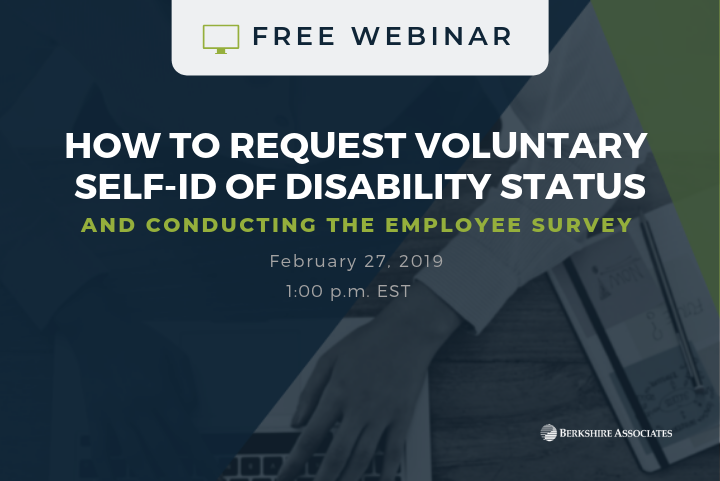 In this 30-minute webinar on February 27, 2019, at 1:00 p.m., Berkshire’s President, Beth Ronnenburg will discuss how to encourage employees to identify as a person with a disability. Thinking back on the last year, 2018 was one for the books. 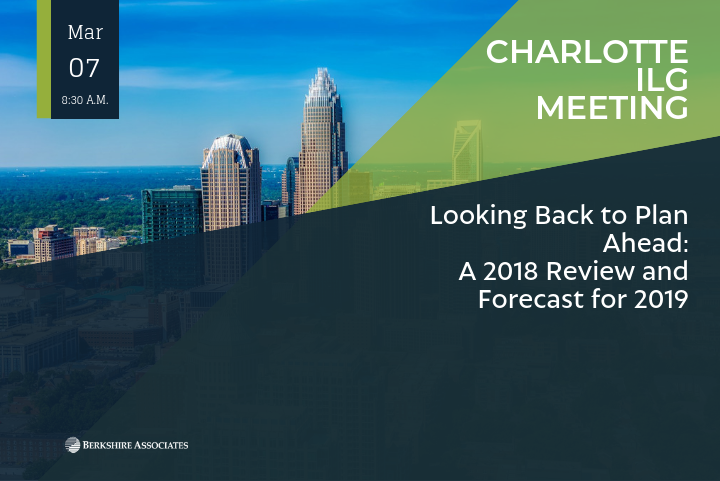 Since OFCCP Director Craig Leen took office, OFCCP has made numerous changes that could affect compliance efforts for federal contractors. Due in part to many new directives, a lot has happened at OFCCP since Director Craig Leen took over in August. 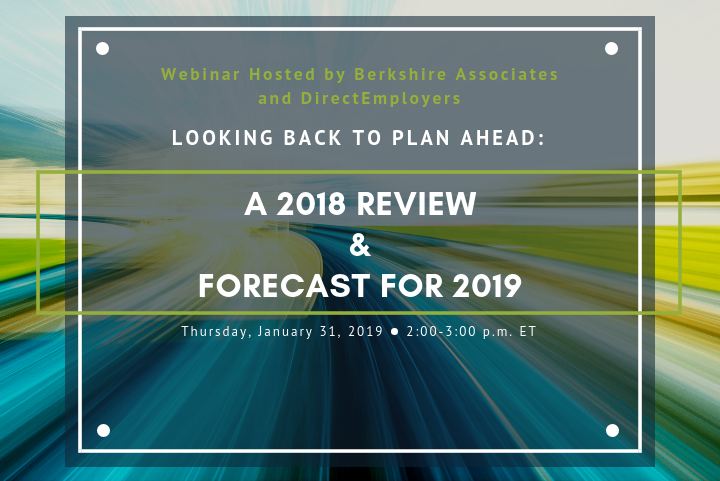 Join us for this free webinar hosted by Berkshire Associates and LocalJobNetwork, as Lynn Clements, Director of Regulatory Affairs, shares insights on the 2018 directives issued, how the new directives are impacting contractors, and what contractors can expect during upcoming audits. 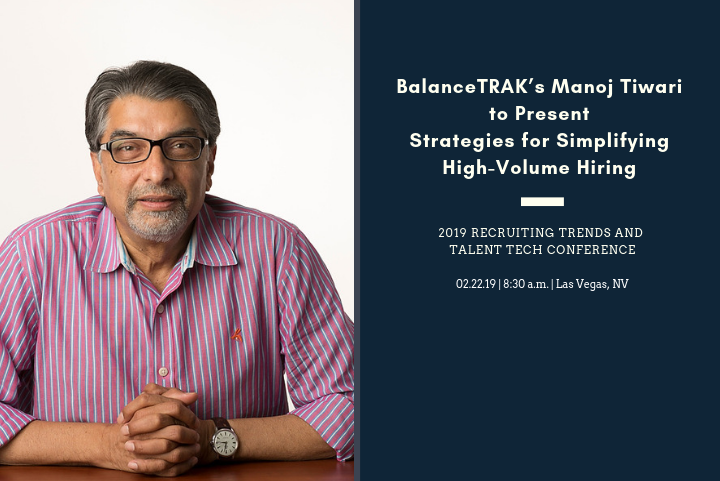 Vice President of Product Development, Manoj Tiwari, will present with Sodexo’s Senior Director, Talent Acquisition, Anthony Scarpino, at the 2019 Recruiting Trends and Talent Tech Live Conference being held in Las Vegas, February 20-22. In a session entitled “Strategies for Simplifying High-Volume Hiring with Technology” Manoj and Anthony will breakdown Sodexo’s processes for managing over 10,000 requisitions, and the framework for effective frontline recruiting. OFCCP recently announced it would conduct focused reviews of federal contractors’ Section 503 compliance during its Fiscal Year 2019 scheduling cycle. The agency also checks Section 503 compliance in every current compliance review. 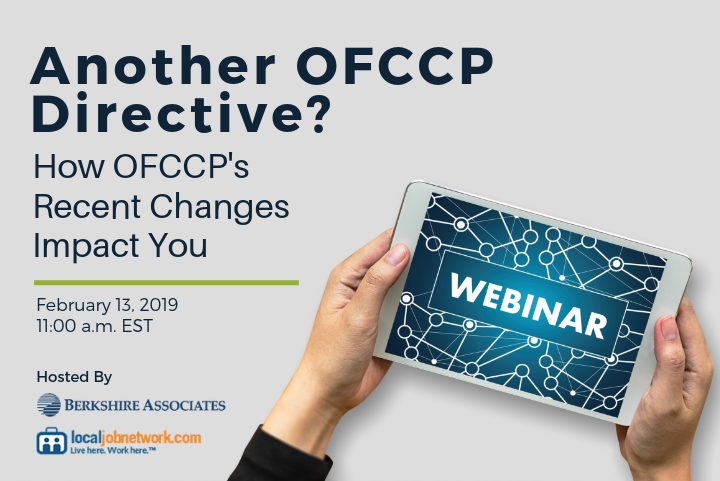 Register to attend this free webinar hosted by Berkshire Associates and DirectEmployers as Beth Ronnenburg, President of Berkshire Associates, reviews OFCCP changes and their impact on the contractor community. 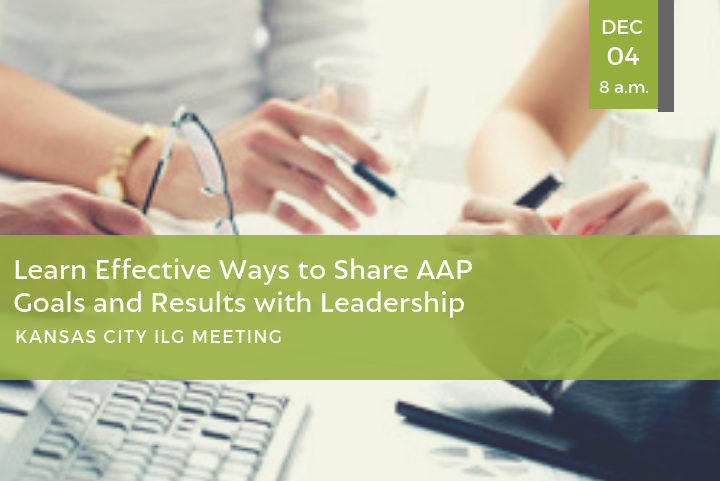 Kristen Johnson, HR Consultant with Berkshire, will partner with Jason Peters of JE Dunn Construction, to share best practices for sharing AAP goals and results with leadership in an effort to gain their support—on December 4 at the Kansas City ILG meeting.